Japan’s potato chip fans recently went on a panicked buying spree as the country’s snack food companies were forced to partially halt production of the favorite crisps. But while this episode of food scarcity is not a food crisis, its cause — an unprecedented series of typhoons that destroyed domestic potato crops — is an attention-grabbing indicator of the need to improve food system resilience in the face of increasing climate change. In August 2016, Hokkaido, the nation’s northernmost island prefecture, was lashed by four typhoons. The resulting floods drastically reduced agricultural harvests, including the autumn harvest of a particular variety of potato used to make chips. 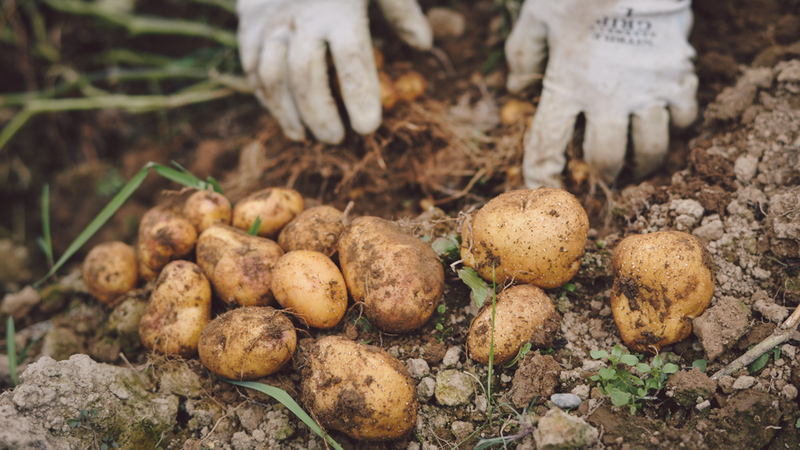 Although potato chip production is slowly recovering with the help of other potato sources, this incident highlights one example of precarious risk management in Japan’s agricultural supply chains. Historically, Hokkaido has rarely experienced typhoons, but this is changing with new weather patterns including higher average temperatures, longer summer days, more rain and less snowfall. Because Hokkaido is home to nearly one fourth of Japan’s arable land and is the country’s leading producer of major agricultural products — including wheat, soybeans and potatoes — the prefecture exemplifies how the impacts of climate change could have profound consequences for domestic crop security. So how is Japan’s agricultural sector responding to the threat of climate change? The Agriculture, Forestry and Fisheries Ministry set out its strategies in a “Climate Change Adaptation Plan” announced in August 2015. Recognising that agriculture, forestry and fisheries in Japan “have been put at risk … due to large-scale disasters caused by record high temperatures, torrential rain and heavy snow,” the ministry aims to implement several adaptation plans. Some of these tactics will expand research on, and dissemination of, adaptive technologies and new plant breeds that can cope with the impacts of climate change. To achieve resilient agrodiversity, agriculture must be treated as one part of a system that extends beyond the farmer’s field to create forest-land-river-sea connections. The agriculture ministry and other government-scale efforts are a crucial part of climate change adaptation in the agricultural sector, but through our research on agrodiversity at the United Nations University in Tokyo, we are finding that traditional wisdom also offers vital solutions. Agrodiversity refers to the dynamic ways farmers can use environmental diversity to improve their livelihoods. So much of today’s global food demand, such as the case of potato chips, relies heavily on large-scale monoculture production (i.e., farmers growing only one crop). To enhance agricultural resilience and prevent future food shortages, Japan’s farmers should look to grow more crop varieties, as their ancestors did. The concept of agrodiversity is built on local knowledge that has evolved through generations of small-scale farming. The importance of this knowledge in coping with climate pressures has driven efforts to recognise Globally Important Agricultural Heritage Systems (GIAHS). Eight of the 37 GIAHS sites designated worldwide are in Japan. These sites are teaching us three key lessons from the past that can help prevent food shortages. First, GIAHS sites demonstrate that to achieve resilient agrodiversity, agriculture must be treated as one part of a system that extends beyond the farmer’s field to create forest-land-river-sea connections. This means that in addition to reducing pesticides and chemical use, food production must acknowledge the integrated nature of agriculture, forestry, and fisheries. For example, periodic thinning of forests can maintain healthy land ecosystems, which contribute to nutrient-rich river systems that produce more fish. The Nagara River in Gifu Prefecture offers a perfect example of this in practice. Ayu (or sweet fish) fisherman there conduct reforestation efforts to boost fishing yields. Climate change is uncharted territory, but by balancing our appetite for untested solutions with practices that have worked for generations, we can adapt with confidence. Second, to develop agriculture that can respond to system shocks from climate change, Japan must promote integrated resources management. GIAHS sites in Japan such as Noto Peninsula in Ishikawa Prefeecture and Sado Island in Niigata Prefecture are mosaics of managed socio-ecological systems, known in Japanese as satoyama and satoumi. Satoyama are areas where people and the land have a symbiotic relationship, each depending on the other to thrive. Satoumi areas are similar, but the symbiotic relationship is between people and the ocean. The centuries-long success realised in the Noto Peninsula and Sado Island are testament to this approach. Third, GIAHS sites (as highlighted above) are clearly delivering success in agrodiversity efforts. As such, Japan should look to expand beyond its existing eight GIAHS sites. GIAHS designation is not just a rubber stamp exercise. It serves to safeguard landscapes, culture, biodiversity and traditional practices to create living libraries of resilience. It also serves to put centuries of earned knowledge to work in solving today’s problems. Satoyama-flavored potato chips might not be on store shelves anytime soon, but headline news such as the potato chip shortage is an opportunity to question how we manage our natural resources in a changing climate, and to discover solutions rooted in our historical relationship with ecosystems.